In this blog, I reflect on Bible Trivia questions. The questions come from Bible Bafflers. The game’s cards are divided into five categories and I review one card for each day of the traditional workweek. The topics are: People (Monday), Other Bafflers (Tuesday), New Testament (Wednesday), Old Testament (Thursday), Geography/History (Friday). Wanted for murder in Egypt (Exodus 2:11-14), Moses fled to Midian, married the daughter of the local priest, Jethro (Exodus 2:15-22), and settled for forty years (Exodus 2:23; Acts 7:29-30). After Moses returned to Egypt and freed the Israelites from slavery (Exodus 3:1-14:31), Jethro visited Moses in the wilderness (Exodus 18:1-6). After catching up (Exodus 18:7-12), Jethro quickly realized that his son-in-law was the upstart nation’s sole arbiter and that no one ought carry that burden alone (Exodus 18:13-16). The Supreme Court simply cannot handle every case. Moses needed to know his role and its limitations. Jethro warned Moses that if he did not reduce his workload that he would “wear out” (Exodus 18:18 NASB). This would allow Moses to concentrate on matters only he could handle, and at the same time it would develop and encourage other leaders within the community of Israel. Too often leaders think they are indispensable, that only they are competent to carry out the duties of leadership; but such an attitude is plainly arrogant. For Moses, Jethro’s advice was wise; it is wise for us as well. A New Testament example of the wisdom of delegation is found in Acts 6:1-6. (Applied Old Testament Commentary: Applying God’s Word to Your Life, 236). Moses had the strength to let go and followed Jethro’s instructions (Exodus 18:23-27). The passage offers a rare glimpse behind the curtain into the molding of Israel as a nation. John I. Durham (b. 1933) refers to the incident as “the best picture we have in the Old Testament of how the system worked and a clear designation of God as the authority of both the law and its interpretation.” (Durham, Word Biblical Commentary, Vol. 3: Exodus , 253). The story also sets the stage for the giving of the law in the following chapters. Are you in danger of withering? 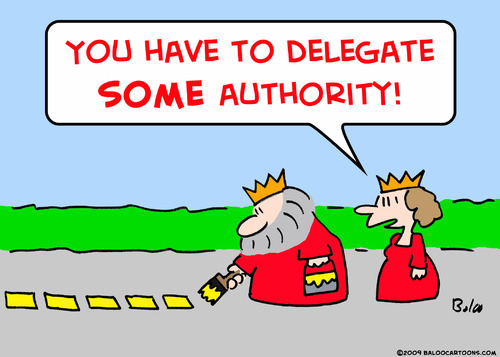 What responsibilities do you need to delegate? What were the benefits of following Jethro’s strategy? Is micromanaging ever appropriate? Not surprisingly, one of Moses’ helpers was his father-in-law. Scholars have long speculated as to just how much influence the Midianite priest had on the nascent Israelite nation. In her1939 novelization of the familiar Exodus story, Moses, Man of the Mountain, Zora Neale Hurston (1891-1960) gives many of God’s lines to Jethro, including being the impetus for Moses’s rescue mission in Egypt (Hurston, 120-121). How much of an influence do you think Jethro had on Moses? What is the best advice you ever received from your in-laws? Why does the Bible share Jethro’s contribution and the process instead of merely recording the results? When has God spoken to you through the practical voice of another human being? This is great! Thanks. I needed to get a bit of info for some volunteer training and this fits the bill! I will reflect on the question that either piques my interest or the card that I know the least about. The intent is to produce 3-5 posts each week. The goals of this blog are to (1) Engage in dialogue about the Bible with anyone who has interest; (2) Provide my congregation with a resource for Bible study throughout the week (and not just on Sunday); (3). Provide my friends with a daily devotional; and (4) Give myself an outlet for thought and accountability. ■I am the senior pastor of Rutledge Baptist Church in Rutledge, Tennessee. (The name is not just a clever marketing ploy.) It is located in Grainger County a.k.a. Tomato Country. ■I am a Baptist who has lived his entire life in the south but am not in any way affiliated with the Southern Baptist Convention. ■In my time in Grainger County, to support members, I have gone to chicken judging contests, taken ballroom dancing lessons, had rotten tomatoes thrown at me, and arm wrestled an eight year old member in the sanctuary. I lost. ■I attempt to always motivate myself and my congregation through love and never via fear. ■I am often told that I seem too young to be a senior pastor though I am uncertain if that is based upon my youthful appearance and exuberance or any striking immaturity I may exhibit. ■I have adopted a principle based system of ethics. As a rule, I loathe deontological ethics. ■I am single and may serve the only church in history with a Pastor’s Wife Search Committee. ■I am known for being transparent, often to a fault. I have one and only one secret and those close to me know it as well. ■I serve on the boards of Appalachian Outreach, the Community Benevolence Committee, Leadership Grainger, and the Tennessee Cooperative Baptist Fellowship. I volunteer at the Samaritan House. ■I have coached teeball the last two years. My undertaking to name my glorious franchise “The Bible Beaters” was rejected. ■I graduated from the McAfee School of Theology (a subsidiary of Mercer University in the ATL). I was Peter Rhea Jones’ assistant and learned at the feet of John Claypool. Had I gained nothing form my seminary experience but the time with Claypool, the three years would have been worth it. ■I am soon to complete a second master’s in Educational Psychology with a concentration in Adult Learning from the University of Tennessee at Knoxville. ■I learn best in dialogue. ■I am an only child. I have never even owned a pet. My parents offered a dog when I was child with the provision that I be responsible for its care. After estimating the workload, I respectfully declined the offer. ■I lived the first six years of my life in Newport, Tennessee, and the remainder of my upbringing was done in Knoxville. West High School, Class of 1996. ■First Baptist Church of Newport and the Central Baptist Church of Bearden served as my home churches. Every pastor I ever had possessed a doctorate (Stan Rushing, Bill Bruster, Larry Fields). ■I collect books and movies. Between a former job at Movies 4 Sale and living a great deal of my life near McKay’s Used Books and CDs, I own more books and DVDs than anyone you know. ■Peyton Manning is my favorite athlete. Unless I am in need of someone to impregnate unwed super models, I would choose Manning over Tom Brady every time. ■I like to play team trivia at restaurants with my team, Tiger Blood. Yes, we named our team after a Charlie Sheen expression. We even bought t-shirts from him. Did I mention I am a nerd? © 2011 A Trivial Devotional. All Rights Reserved.